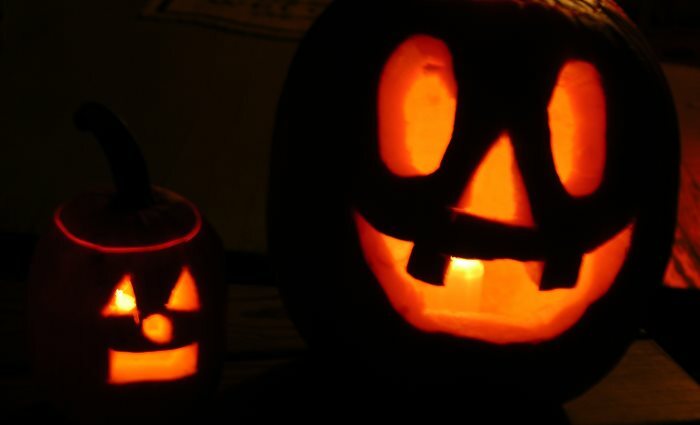 Amidst all of the candy and fun, there are a few things that parents should be watchful for. Here are some Trick-or-Treating Safety Tips to ensure that those little ghosts and ghouls have a wonderful time! Costumes and candy - for a kid, it doesn't get much better than that, does it? Unfortunately, amidst all of the fun, there are a few things that parents should be watchful for. Here are some Trick-or-Treating Safety Tips to ensure that the holiday is full of nothing but fun! We know that you and your kids want to show off their awesome costumes, but on a holiday with so much walking, nothing beats comfort. Wearing comfortable shoes (or purchasing cushy insoles) can make a huge difference. The same goes for coats and / or jackets. As a kid, I always hated hiding my Halloween costume under a coat, but sometimes it's just necessary. Does that costume have a lot of pieces / accessories that you or your kids are going to have to carry all night? If so, consider sitting down with your kid to select the most important accessories. The last thing Mom and Dad want is to end up carrying an arm-full of "non-essentials" half way through the night. One accessory and their candy bag is much more manageable. The last thing you want is to wrap up your night of Trick-or-Treating a mile from your house; believe me, I've done it! Plan out your route in advance, making a circle back to your house (or car). This might seem silly, but it makes a huge difference. Kids should always be accompanied by an adult while Trick-or-Treating. It's also a good idea to include important contact information such as your name and phone number either on the child's costume or a wrist band just in case they get separated from the group. While you're planning out your route, pay particular attention to areas that may not be particularly well-lit. Not only are well-lit areas less likely to attract trouble, but it will be easier to see where you're walking and avoid trip hazards. Brightly colored costumes are great during the day, but come night, even those can be hard to see for drivers. Consider applying reflective tape to the costume so that you and your kids are easily visible to drivers and other Trick-or-Treaters. Glow sticks / necklaces and flashlights are also great ideas. Even after taking steps to ensure that you and your kids are as visible as possible, you still want to make sure that the driver does see you and is allowing you to pass. Always look both ways before crossing the street, and cross only at marked cross walks using traffic signals whenever possible. Your kids should be able to show off their costume and collect their candy on the porch and should never go into someone's home, even if invited. If the homeowner is persistent, you should instruct your kids to turn around and walk away, they can always get candy at the next house. If your kids are old enough to Trick-or-Treat with a group of friends, be sure to assign an expected time for them to be home. This not only encourages some responsibility, but takes some stress off of you while waiting for them to get home. Always insist on checking candy before your kid starts to dig in and remove anything that you feel is suspect (or your favorite – hey, parents get to enjoy Halloween too!). In particular, any treats that were homemade, not in its original wrapper, or appeared to have been opened should be discarded. We know your kids will likely complain, but there will be plenty of candy left over for them to enjoy. We hope that you found these Trick-or-Treating Safety Tips helpful and that you and your kids have a wonderful time! As always, should you ever have a need for any of our services, please do not hesitate to Contact Our Offices!